Elise FAQ and Resource Page – Project Elise! Touring pack $1350 – The Touring Pack provides a combination of options designed to increase comfort and convenience, while still maintaining the essence of a Lotus Sports Car. Touring package adds approximately 12 lbs to the weight of the vehicle. Sport Pack $2840 – The Sports Pack is ideal for the customer who wishes to extract the utmost in handling performance from their Elise. The Lotus Sports suspension and damper settings have also been developed to maximize the potential of the specially developed Yokohama A048R tires in both wet and dry conditions. 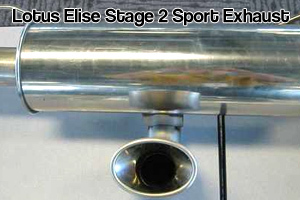 Exhausts – There should be 3 levels of sport exhaust available. Each being louder and lighter. 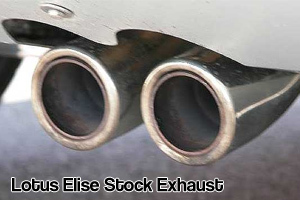 These exhausts aren’t shipped with the cars due to Federal noise requirements. 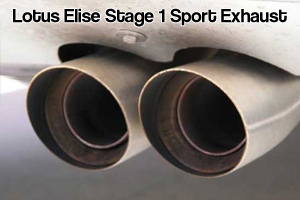 Here are some images to determine the type of Lotus exhaust on your Elise. 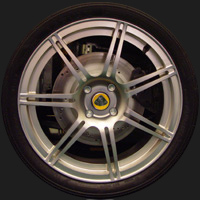 Standard Wheels – The Standard wheels that come on the US Elise are the same wheel that come with the 111S UK spec Elise. *Possible fitment is just that these are recommended tire size fitments for this size wheel. Due to many other factors concerning tire shapes and size there is no guarantee that a tire width listed above will fit. 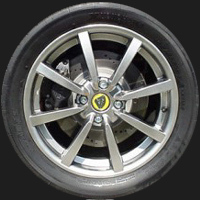 Sport Package Wheels – The LSS (Lotus Sport Suspension) wheels are unique to the US market and are “light weight” forged wheels manufactured for Lotus by Rimstock. Currently the only color offered is silver. **Possible fitment is just that these are recommended tire size fitments for this size wheel. Due to many other factors concerning tire shapes and size there is no guarantee that a tire width listed above will fit.